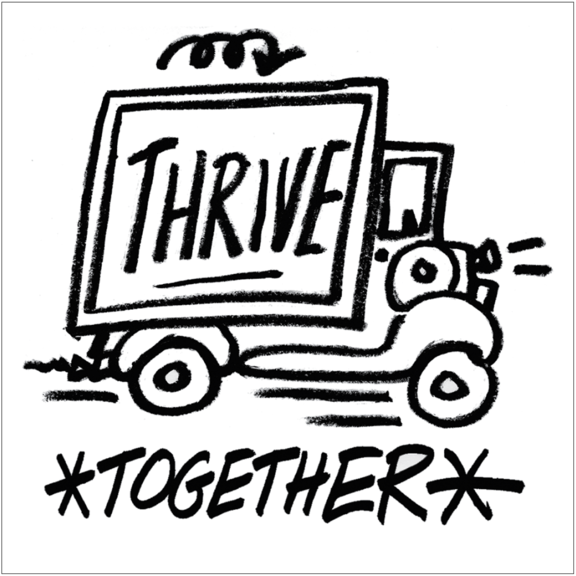 Thrive together. Art by Impeach. Sticker is 3" square and is weather-resistant.